I am a poet and a writer; a milky way of verbs and nouns that circle around the sun of justice. I am recognizing that the essence of justice is the living, bodily experience of dignity in all our bodies. I find myself here because I am passionate about the work of understanding collective oppression and how it is experienced as personal abuse, internalized and carried. I wish to be part of those hands that reach to lift off this burden within our communities so that dignity can live and breathe in our collective spaces for each person, so that what our society has overprivileged or underprivileged can be made more conscious that we may embody equity, justice, dignity, and recovery from white body supremacy in all of our bodies. I locate this body as a settler on Nisenan land, in the South Yuba Watershed. I am grateful to be here, learning to hold the tension of the opposites: all that needs to be undone with all that needs to be envisioned, built and created relationally. I seek to uncover my own medicine stories that weave between the personal and the systemic, navigating by and towards the winds of liberation. I am committed to bringing the place of Elder back into community for the health and well being of all inhabitants on this sacred Earth. 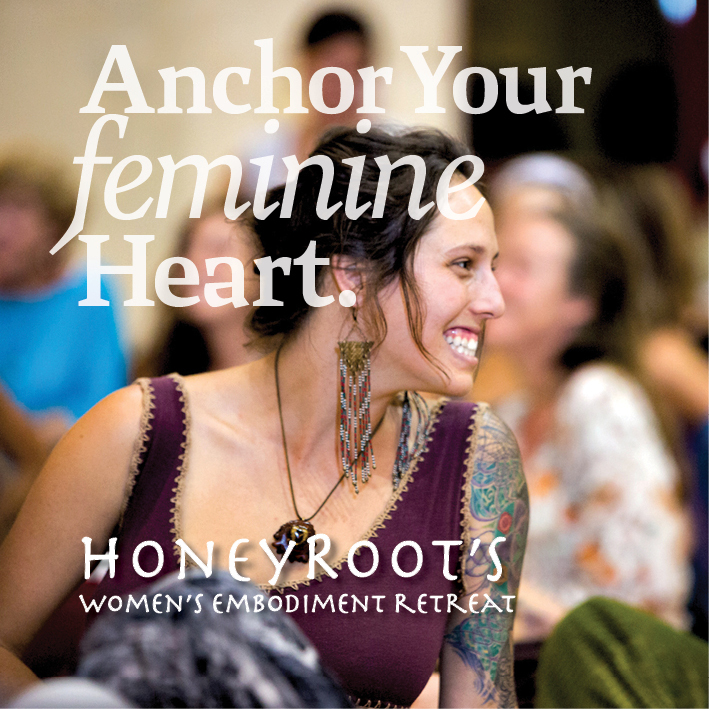 As a member of the Social Justice Council, I bring my authentic self with humility and presence to hold space, to offer integrated experience, perspective and compassionate thought to all discussions, projects and offerings within the HoneyRoot community. I am an Igbo womyn from Ani Iwollo in West Africa. I migrated to Turtle Island 2 decades ago and have been on this journey of being both undocumented and documented as an immigrant, navigating the politics of race, racism and oppression through this construct, learning about ways my internalized oppressions have harmed me, decolonizing my food, my spirituality, my communication style, my leaning, my movements and so much more. I am committed to decolonizing my patterns, being a bridge between the world of Africans in the continent and the global diaspora. 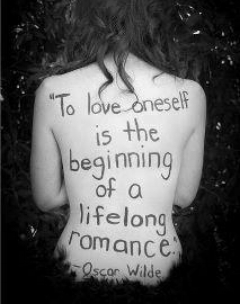 I am committed to my body and how it relates to other bodies that are different from mine. I am curious about how relationships and change the world for the better. I am committed to learning through my experience and others experiences in this council. 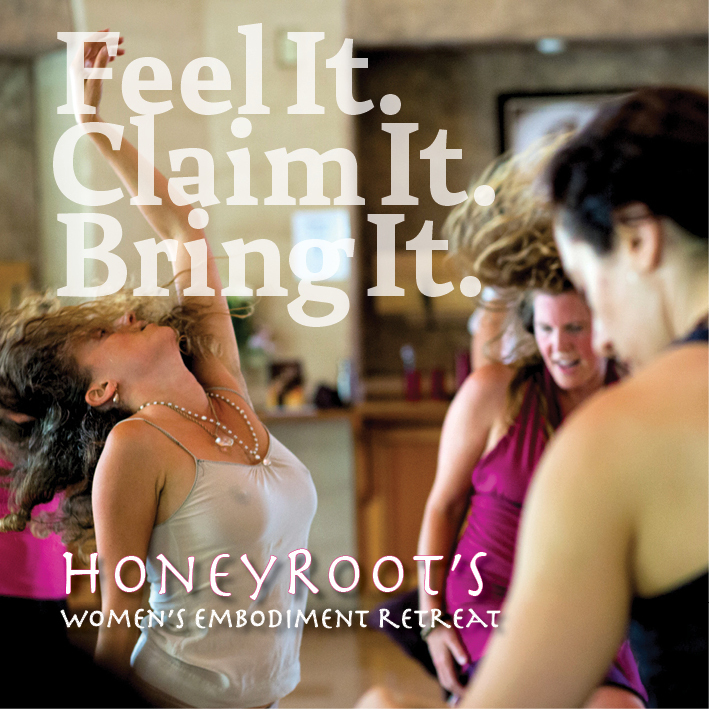 I find myself on the Social Justice Council of HoneyRoot in this time, in this place, in this body. To ask myself why is to enter into curiosity and exploration about body and relationship. I come to this place with the humility afforded by a pocket full of questions and only a few answers. How do we learn to stay present and in relationship with 'other' when we are in the intense throws of activation borne from attempting to find one another across difference of body. The power of justice resides in our practicing. We pracitice remaining in relationship to one another, ourselves, and the greater web, especially as we learn to receive the painful stories of others. The more access we gain to the present moment, perhaps the more access we gain to self-transformation. I come to this work from my own path. My intention is to show up to whatever needs to unfold and offer my compassion and willingness to be wrong to the greater whole. 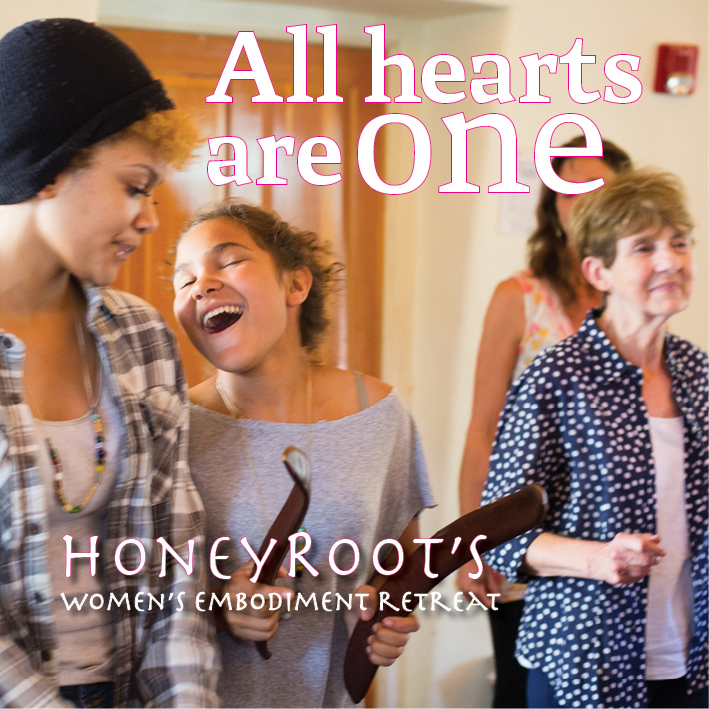 May this work of HoneyRoot and the Social Justice Council be of service to the greater good of all. I am a cis-gendered woman of Italian, Dutch, Mexican, Spanish and Cherokee descent. Though not raised within or with traditions of these cultures, I seek to know more of my ancestry, more of what I'm made of. Born on Miwok land in northern California, I carry the privileges (and shadows) of being within many of today's dominant cultures. With appreciation, a deepening humility and commitment to dismantling the systems that confine, oppress and destroy us, I grow within the circle of this Council, as a way to know myself more fully. Where I judge and condemn others, may I find that evil within and root it out, that I may reclaim my own humanity, to then show up more fully as mother, friend, community member, human on this precious planet. I am in service to the awakening awareness of self and our conditioned responses within this consensus 3D reality. I am committed to learning about my blind spots as a conditioned white body. I am committed to speaking up to the injustices I become aware of. I am committed to bringing voice to my experience as a queer person living within this social context. 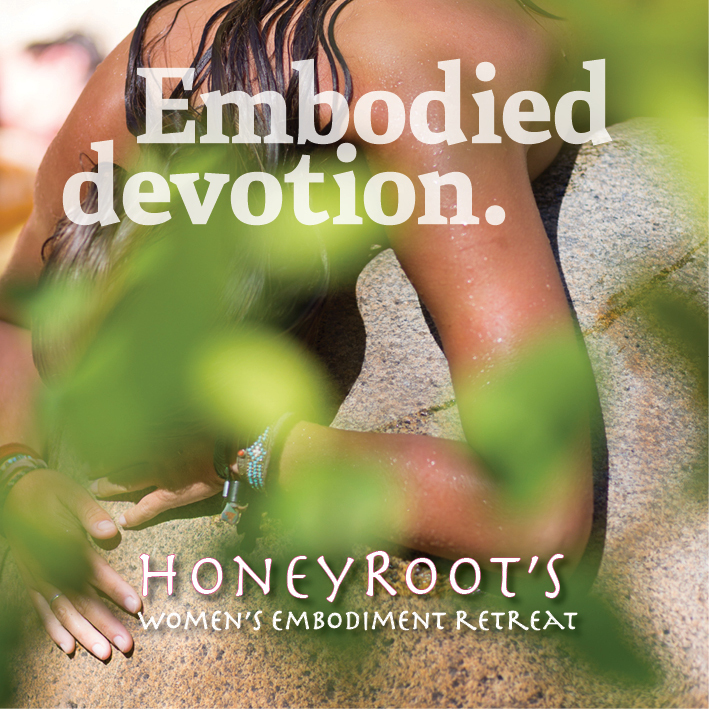 Being wholly embodied requires the healing of our fragmentation. I am dedicated to paying attention to what occurs within me and within my surroundings when it comes to my biases, privileges, and felt senses of belonging as a white cis queer identified woman of Jewish decent. I am dedicated to speaking up when I perceive harm, ignorance or misuses of power. I am dedicated to listening and feeling my way through my pain and shame when others call attention to the places where I misstep. 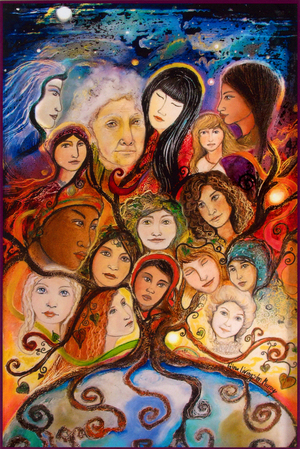 I want to see a world where all women and all womb carriers know, sense, and feel their connection to the power of earth and, thus, to one another. I am dedicated to dismantling whatever in me and whatever around me is in the way of this connection. This loss of connection to our ROOTS (those of us that are non-indigenous to the land we were raised on) and our HEARTS has everything to do with the injuries that have occurred through colonization. We must tend to our bodies and heal the trauma. We must know our place and not assume we know others'. We must honor the complexity that lives with and the crucial role of relationship. Without one another, we are nothing. When I speak of embodiment, I am speaking to blood, bone, and heartbeat, tension, relaxation, and cellular density. 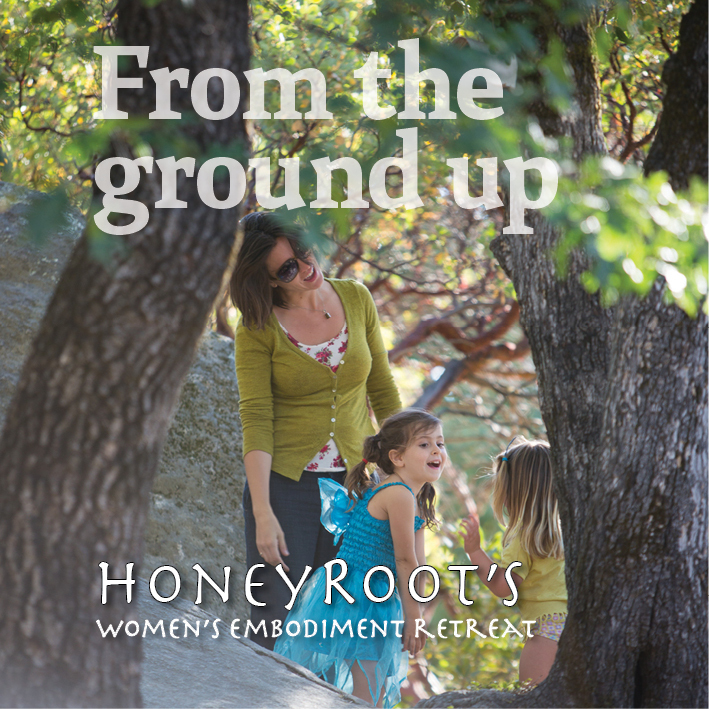 When I speak of embodiment, I am referring to the potent reality and the sensitive power that lives within our earth body, matter, the mother herself. In order to fully embody, all beings, both human and nonhuman, must feel their connection to Life... all people must be included. What this means in terms of day-to-day events, institutions, communities, trainings, and educational programs, is that we must center, listen, and learn from those whom and that which has been pushed out via egocentric points of view, Patriarchy, White-supremacist mentality, and now, most commonly the inheritance of defensiveness and ignorance. This is the way to regain our humanity -- to listen to the marginalized voices, to (re)connect ourselves with our roots, the earth, and, thus, our shared heartbeat. The womb of the earth is calling. I stand together with this council to support healing & transformation, working to repair human systems that have harmed through intricate patterns of injustice. I am deeply committed and continue working towards right relationship within myself and within the complex differences between us. It is my commitment to stay present on this journey, stepping out of the colonized mind, to stay humble and vigilant, to tend the places where I miss the mark. I offer my devotion to my brown children and grieve the brokenness of our systems; inspired to create something new, I am with you, as we build together into the future.